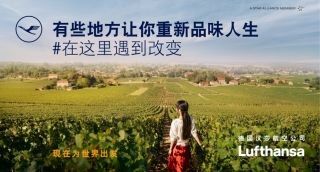 Building on the global success of its latest brand claim 'Say Yes to the World', Lufthansa today launched a new cross-media brand campaign in China, named #LifeChangingPlaces. Following the brand's legacy of promoting open-mindedness, this campaign celebrates five real-life explorers who were rewarded with enriching experiences on their travels. ExecuJet, part of the Luxaviation Group, is celebrating a record year in Asia Pacific, with fleet additions, an extended Singapore office and a new management team to oversee operations. Flying Colours Corp., the North American maintenance, repair, overhaul and completions business is attending this year's ABACE - Booth A639 - having confirmed renewal of its agreement with Bombardier Business Aircraft's Service Centre at Seletar Airport to provide interior services at the OEM's Singapore facility. 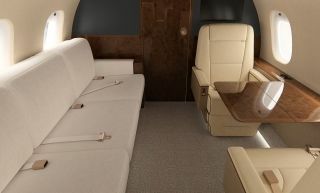 The renewed relationship between the two Canadian companies confirms that Flying Colours will continue delivering the full-service interiors offering, including preliminary inspections, repair work, modifications and refurbishments, to complement Bombardier's comprehensive line and heavy maintenance services. Today Swoop announced an Innovation and Experience Centre partnership with Navitaire, an Amadeus company. The airline aspires to become a leading digital retailer in the airline industry and the first company to make air travel a consistently positive experience. 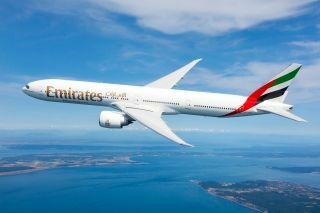 Emirates, the world's largest international airline, and Africa World Airlines (AWA), the Ghanaian airline headquartered in Accra, have announced a one-way interline agreement whereby Emirates customers can connect onto selected routes of Africa World Airlines' network, opening up new African destinations for Emirates customers from May 2019. The United States is scrutinizing state-owned Qatar Airways' acquisition of a 49 percent stake in Air Italy, which has been flying to U.S. destinations since June in a move seen by U.S. lawmakers as flouting a deal not to add new flights to the domestic market. A Norwegian Air subsidiary has agreed with Airbus to postpone plane deliveries scheduled for this year and next, cutting its capital spending by US$570 million, the loss-making budget carrier said on Wednesday.